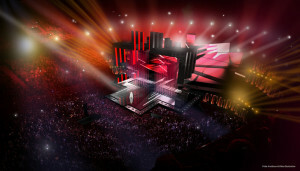 For the second time in a row, Osram will be the official lighting partner for the Eurovision Song Contest, which takes place in Stockholm in May. The audience, whether live or watching on TV, can look forward to another show with spectacular lighting effects. And lighting technology from Osram will enable the audience in Stockholm and anyone else anywhere in the world to show support for their favourite songs. After the success in Vienna last year the audience will again be able to rate each song with the aid of an app designed specifically for this event and based on Osram’s Lightify system. Depending on how many points a singer gets various landmarks in the city and the Eurovision Village will be illuminated. The results will be immediately visible in the city and throughout the world via webcams.